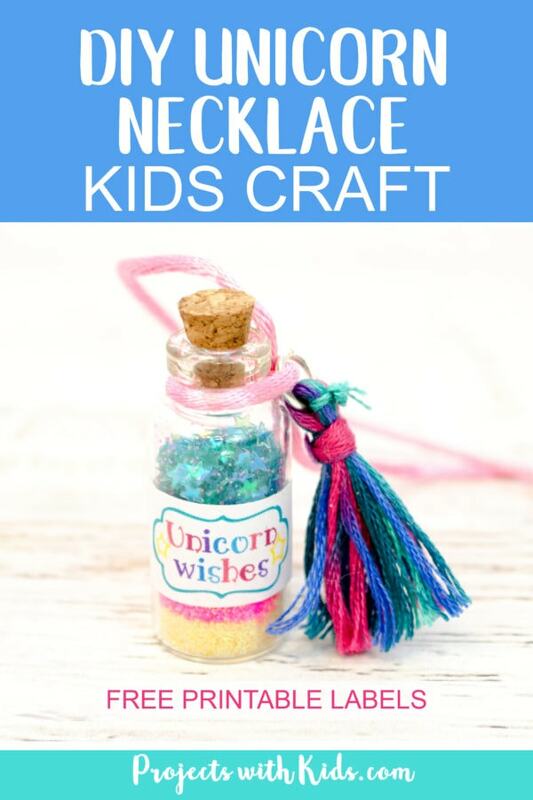 This unicorn necklace craft is magical and sparkly and kids will love making them! I could barely keep these necklaces on our craft table long enough to take pictures, my daughter kept taking them, playing with them and wearing them. Her friend came over and they made more necklaces, they were a huge hit. 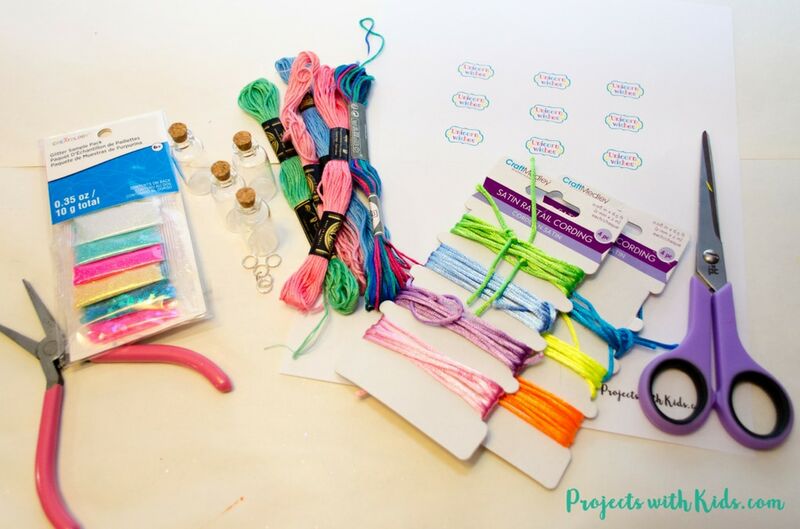 We had so much fun making these necklaces and coming up with different color combinations. 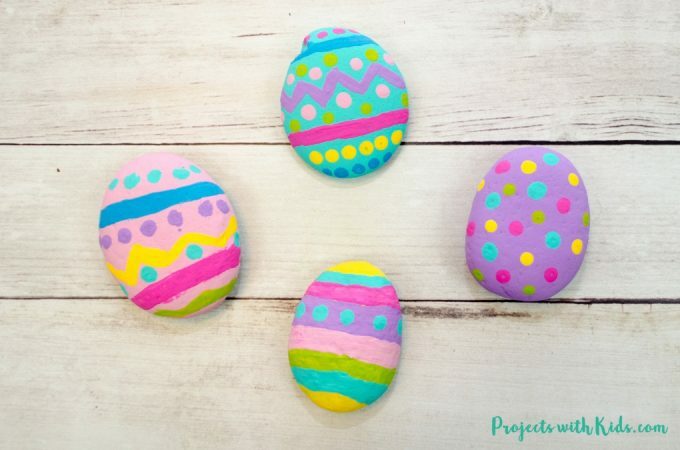 They are also great for kids to use as a calm down activity. Tipping the bottle back and forth to see how the colors mix together can be quite mesmerizing and have a calming effect. * Because this craft uses glass bottles, it is not suited for younger kids. 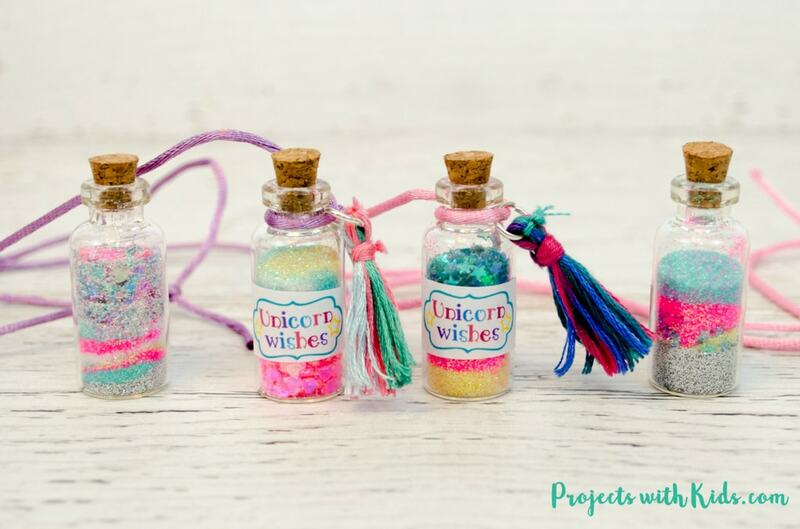 I made the most adorable unicorn wishes labels for you to print out and glue onto your bottles. This printable is part of my free resource library that is available to my email subscribers. Click here to sign up, grab your free unicorn wishes labels and check out all of the other awesome printables in my resource library. 1. Make a small funnel out of paper and tape it on closed on the sides. 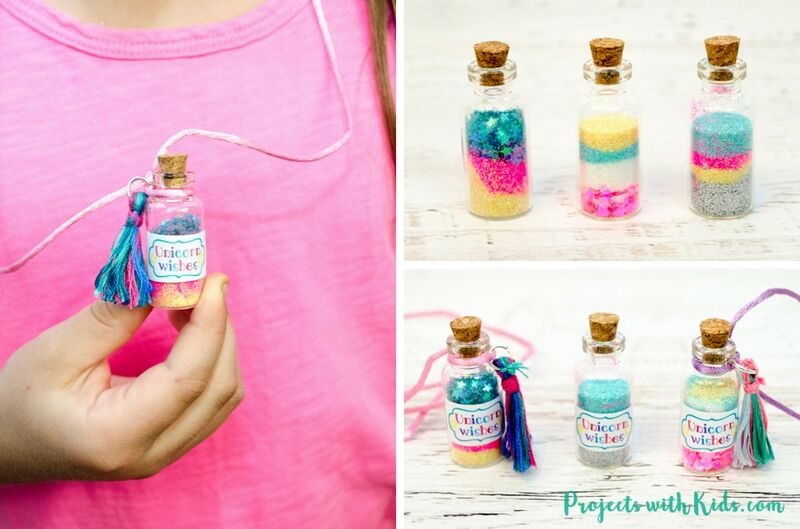 I found this the easiest way to get the glitter into the bottles with minimal mess. My daughter tried to pinch the glitter into the funnel (which took a long time) and carefully pour it out of the plastic package into the funnel. Both ways seemed to work ok. Remind kids to go slow and not rush or the glitter will spill out of the bottles. Have fun choosing your glitter color combinations! 2. This step is to be done by an adult only. 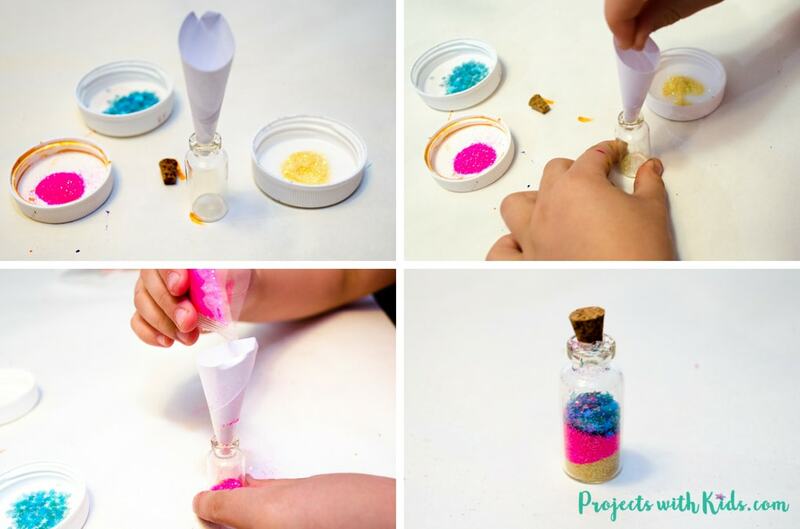 Once you are done filling the bottles with glitter, take some jewelry adhesive or superglue and carefully glue around the cork near the bottom and close the bottle up with the cork. 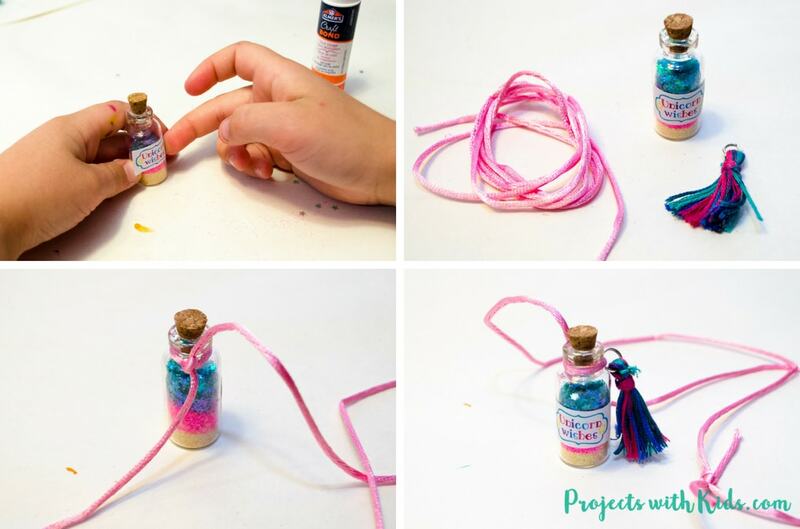 This will seal the glitter in and prevent any messy spills. 3. Next, it’s time to make the tassels. These tassels are so cute! 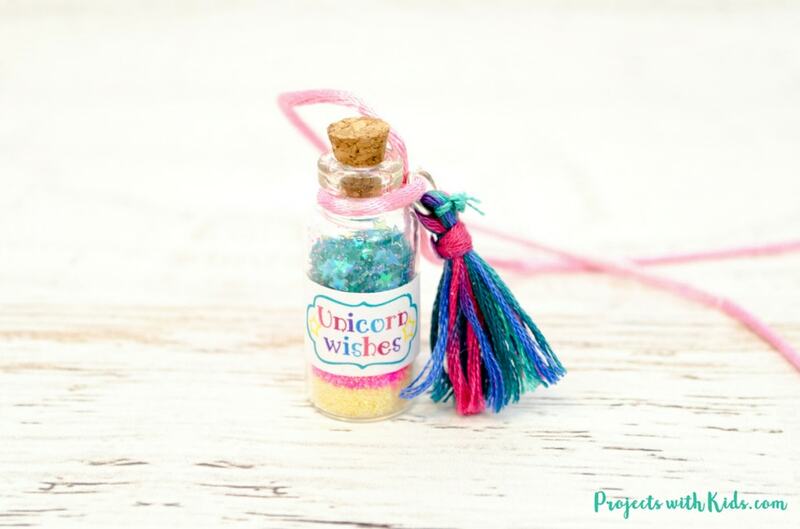 I love the colors and they really help to make your unicorn necklace extra adorable. 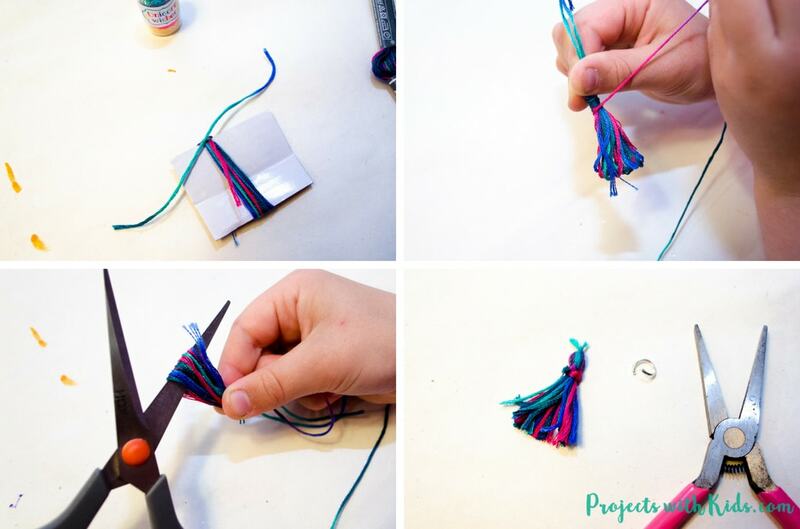 Making these tassels was pretty easy, but can still be a bit difficult for kids. My daughter needed help with this step. Cut out a small piece of cardboard. The height of your cardboard will be how long your tassel is. 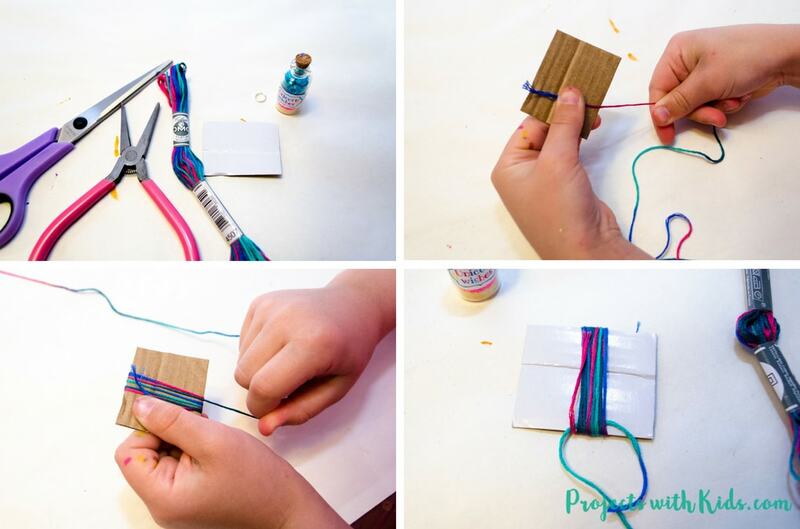 Start wrapping your embroidery thread around your cardboard. We wrapped ours around about 12 times. When you are done, cut the end of your thread. Cut another piece of thread and tie a knot at the top, just like in the picture. Cut and trim the bottom of your tassels. And you’re done! 4. Using a metal jump ring and your beading pliers, slide the ring into the top loop of the tassel. 5. Print out your unicorn wishes labels and cut them out. Using a glue stick, glue them onto your bottles. We chose to cover our labels with Mod Podge to make them extra durable. 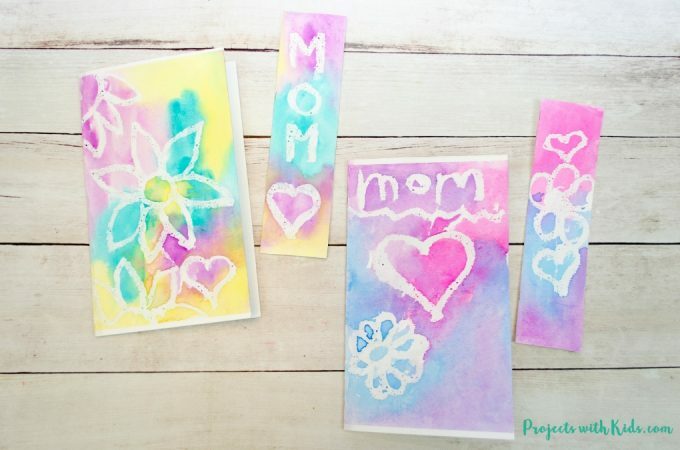 Let the glue and Mod Podge dry. 6. Cut your necklace cord, tie it around your bottle, using 2 knots and then tie a couple knots at the top. Attach your tassel to the necklace string using the jump ring and pliers. I just love how these unicorn necklaces turned out! We had so much fun making them and my daughter loves wearing her unicorn necklace. We didn’t turn all of our jars into necklaces, my daughter also wanted some of the bottles to play with. 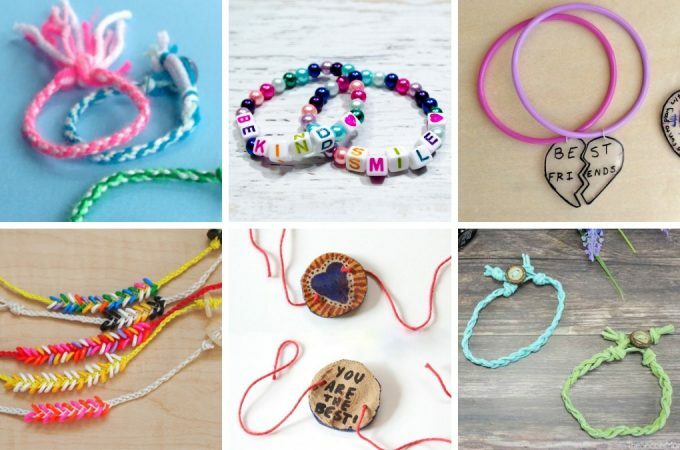 If you are looking for more awesome kids crafts check out these Easy Painted Fairy Houses for the Garden and these Colorful Beaded Friendship Bracelets. 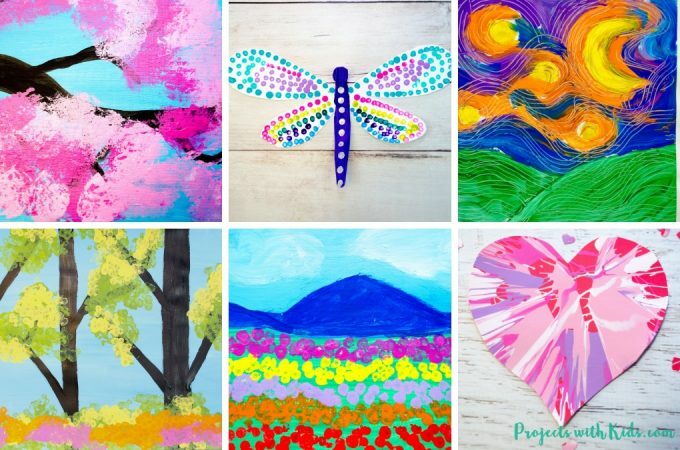 I have signed up for the newsletter and free Printables byt I have not received an e mail with the password. Hi Jana, I have sent you an email with the information you need. Amy, I have sent you an email.